Chandigarh Airport To Ludhiana Taxi Service. Book Chandigarh Airport To Ludhiana Taxi by a call on 7814646464. Online book taxi from Chandigarh Airport (IXC) To Ludhiana @ Chandigarh Cabs 365 days 24×7. We provide excellent taxi service from Chandigarh / Mohali Airport To Ludhiana. Book also one way taxi from Chandigarh Airport To Ludhiana with easy ways. The most convenient way to travel from Chandigarh Airport To Ludhiana is a taxi. Which can be easily booked with Chandigarh Cabs Online Chat or with a single phone call on 7814646464. Hiring a taxi from Chandigarh Airport To Ludhiana with Chandigarh Cabs will not only comfortable but also on affordable rates. We also provide one way taxi from Chandigarh / Mohali International Airport To Ludhiana. With this, you no need to pay for round trip. 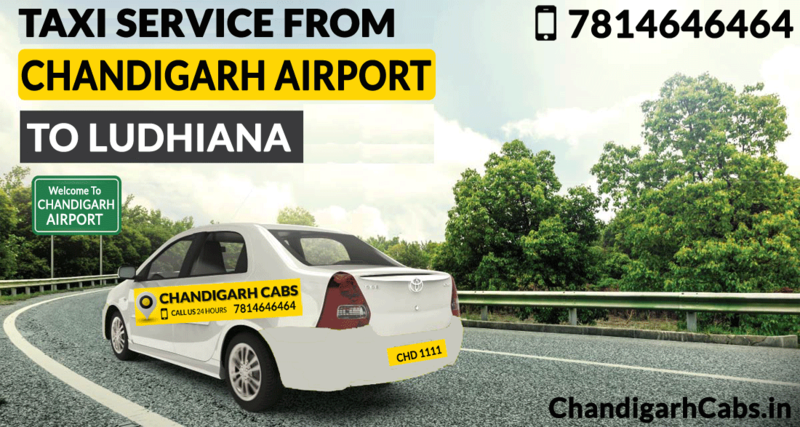 Chandigarh Cabs provide best taxi service from Chandigarh Airport To Ludhiana with its professional drivers and neat & clean cars. If you have extra luggage, you don’t worry about it. Just tell us about it, we will arrange roof top carrier on our cars. We provide Ludhiana to Chandigarh International Airport taxi service also. We have a wide range of fleets available. You can book any one as per your requirement. Don’t forget to tell us about extra luggage if you will have. Our rates from Chandigarh Airport To Ludhiana or vice versa is very affordable as per compare to other taxi operators. With lowest rates, we ensure that you will get world’s best taxi service from Chandigarh Cabs. The distance between Chandigarh Airport To Ludhiana is 102 Km & it will take around 2 hours 10 minutes to cover it. Your traveling will be very comfortable because of these roads are very smooth. While your journey, you can enjoy good food, as there are many famous food points. We have a wide range of vehicles like hatch backs, Sedan, SUV, MUV, Tempo traveler, You can choose as per your need. Swift Dzire, Toyota Innova, Etios, Ertiga, Xylo etc. Affordable Rates: We ensure that our taxi charges for Chandigarh Airport To Ludhiana are very affordable. Experienced Drivers: Our all drivers are professionally trained drivers with good behavior and are polite with customers as well. Punctuality: We always ensure that. Our cab will be reached at your pickup location on time. All type of Cars: We have all range of cars available. So that customer can choose any as per their need.